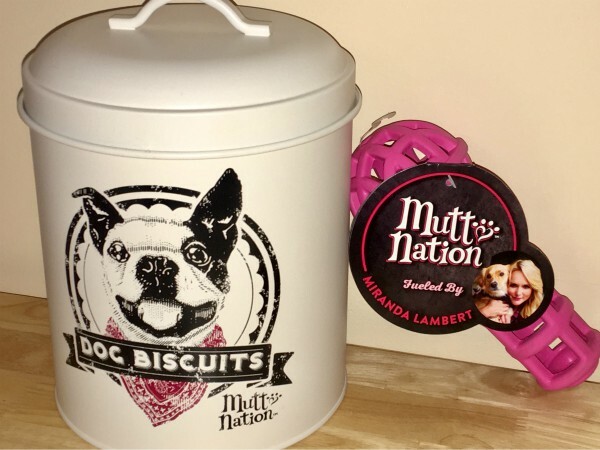 Stacy Tilton Reviews: MuttNation - gifts that "Give Back"
MuttNation - gifts that "Give Back"
Since our pup Java (and pretty much every pet we've owned) was some sort of rescue pet we are firm believers in helping give back to the rescue nation. And that's why we support purchasing products from brands like MuttNation that do the same. We can't adopt every shelter pet out there, but we can help them find homes by purchasing our Java gifts from a place that will help make sure those pets do find homes. We recently received a few of the new gifts from the MuttNation™ Fueled by Miranda Lambert collection and I have to say Java loves them! As you can see from the above photo she is hard at work trying to get her reward (a treat) from the inside of her new microphone toy. Below are just a few of the new products in the collection available for purchase from the MuttNation collection. With a vintage inspiration and retro design, the MuttNation® Treat Tin makes the perfect treat holder. Big enough to hold kibble or biscuits, rawhides, training, and dental chews. Stands eight inches tall. Holds 12.5 cups or 3 liters. Muttnation® Country Music Treat Toys were designed for the ultimate Country Music fan. They are tough, durable, and built to last. Perfect for fetch, toss, tug, chewing, teething, and stuffing with treats! 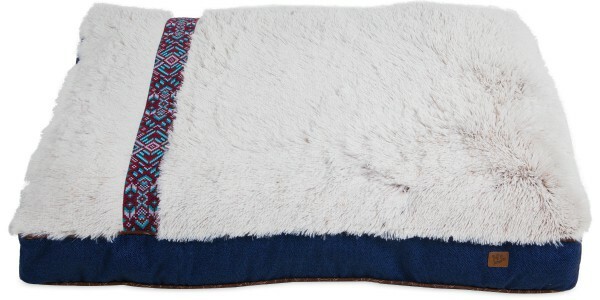 The MuttNation® Guitar Strap Gusset Bed features a luxurious long-pile plush sleep surface and extra filling - four pounds of recycled polyfill providing superior sleep and support for your pet. This super-sized bed is designed in blue tones and inspired by Miranda's vintage guitar straps. It is guaranteed to match almost any home decor. More than ever consumers are taking to gifts that "give back.” Petmate®, the worldwide provider of fun, trusted, quality products to enhance the lives of pets and their families, proudly offers a pawsome opportunity to give back year round through its MuttNation™ Fueled by Miranda Lambert collection of pet products. Every purchase helps fund the rescue and adoption programs of MuttNation Foundation. To help shine the spotlight on rescue animals and shelters, Miranda and her mom Bev Lambert founded MuttNation Foundation in 2009 to ensure that as many dogs as possible would have a safe and happy place to call home. All of Miranda’s proceeds from the MuttNation pet collection go directly to the MuttNation Foundation. You can be assured that your giving is going directly to helping homeless dogs find new homes.